The beer pours slightly hazy dark amber almost brown with a very modest off white head. The nose is very heavily spiced along with rich caramel malt aromas and a touch of sweetness I assume is alcohol. Wow, that is one spicy ale but it does have a nice sweet finish. The starts out with a touch of dark malt sweetness up front followed by a smooth mouthfeel as this low carbonated ale rolls over the tongue in the middle of the sip. The spicy aspect of this ale starts to come out just before you get to the back-end. The back-end is rich with a hesitation at the top of the swallow. The finish is rich with dark roasted malt flavors, spice and sweet alcohol. 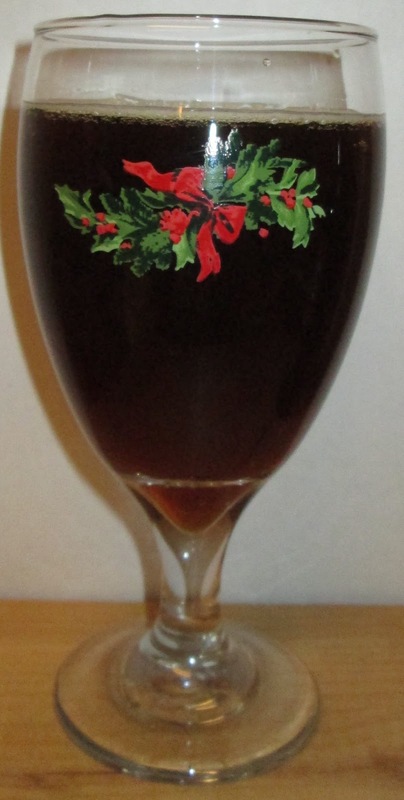 The final aftertaste is of lingering spice and toasted malts. All and all this is an enjoyable beer but it is heavily spiced with traditional Christmas spices. There is a nice warming effect from the alcohol in this ale also. 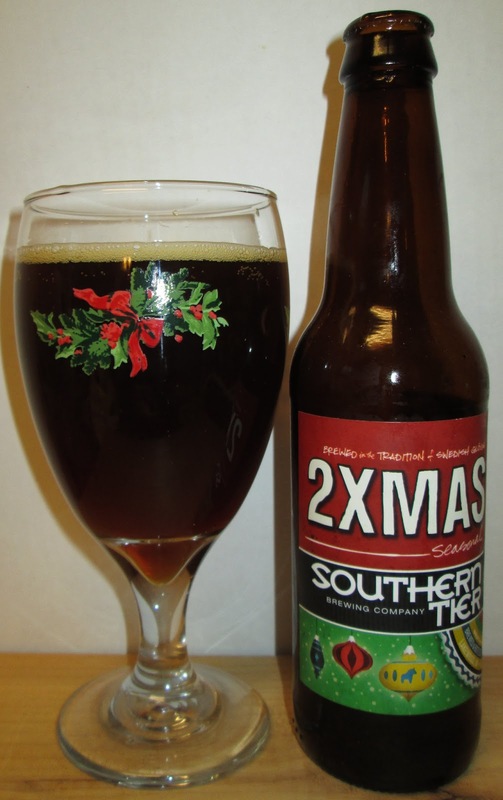 B- | Southern Tier 2Xmas is a nice Christmas ale highly spiced but also good caramel malt flavors and warming finish.